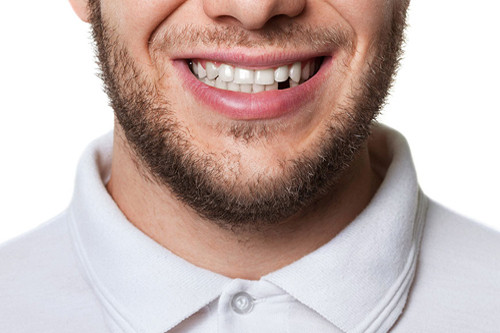 Our Dentists Can Replace A Missing Tooth - Book Now! Our professional cosmetic dentists can replace missing teeth with quality dental implants! What Can Cause A Missing Tooth? Ignoring a missing tooth can lead to further loss of teeth due to tooth decay, which can happen as a result of spaces or pockets in gums that can collect food and bacteria. In addition to losing more teeth it can affect your self esteem as well as appearance where cheeks can hollow.